Advantages of Reading to Children Offer More Pros Than Cons. As parents, there are many things we can do to help our children understand the world around them. There is so much to discover and learn. In fact, every day, our little ones gain knowledge about something or someone. People often say that children are like sponges. In many ways, children are certainly prone to soak up information from their surroundings, learning more and more about the people and things they encounter. As kids begin to learn, grow, and develop in different areas, they begin to enter into an extremely exciting time of life! But, this time can also be a little scary for parents! After all, we want the innocent and new minds of our children to be guided so that they learn to be honest, successful, hard-working, etc. So, many parents often feel concerned about their children and what they learn and soak in from those around them. It’s certainly true that there are many negative and unhealthy influences out there. Our little ones are exposed to more than we would like for them to see and learn. But, there is also so much good in our world! There are wonderful and helpful things our kids can gain from their world. And, as parents, there are things we can do in order to help our kiddos take in the good and do away with the bad. Fortunately, the things we say and do can help children to determine what is right from wrong on their own. One of the things we can do to help children develop successfully is to read to them, even if they are very young in age. There are many advantages to reading to children. Here at Ivy Prep Early Learning Academy, we encourage parents to read to their little ones as we also incorporate reading in our programs. It has been proven that, when we read to children, their brains react in more areas than if they were to be given a list of statements. In other words, a child’s brain becomes more stimulated and active when someone reads to him or her than when someone simply tells them something. For example, mentioning a fact or two to your child isn’t as beneficial as reading the information to him or her. Interesting, right? Definitely! But, it’s important to mention that reading to your children has multiple purposes and benefits. The advantages of reading to children are more than getting them to sit and listen. There’s far more to it than that! Reading to your little ones is also great for stimulating thought. You can literally help to trigger your child’s cognitive processes by reading aloud. When children hear stories or information being read to them, it helps to expand and improve the way they think and understand things. This includes improves the way your little ones understands language and words. In fact, reading to kids is actually plays a very instrumental part in helping them to develop language. Through reading to them, you are actually helping them to develop more fluency in speech. Reading to children also helps to activate the parts of the brain that are responsible for retaining memory. While young children may not be ready for testing, they are most definitely ready to start engaging areas of the brain responsible for future learning. Remember what we mentioned earlier, about how parents often feel concerned about their growing and learning kiddos? It’s obvious that parents want their children to grow up to be moral adults and make the best decisions for their lives. Establishing a base of morals is super important, especially at an early age. 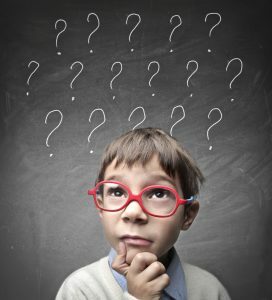 Most likely, you have heard people say that children’s minds are like sponges. They take in a lot of information from their surroundings, whether we think they do or not. So, it is critical to make sure that our children have positive and healthy environments as they grow and learn. One of the ways to create a healthy environment is to make sure the atmosphere around your little ones is conducive to learning. In other words, it is a good idea to provide your kids with the tools they need in order to reap all the benefits of learning. Other ways in which you can make your home a great learning environment is to read with your children. Reading to your little ones can help you to connect with your little ones in ways you might not have imagined. Your children can learn a lot from you simply by spending this time with you. Believe it or not, the advantages of reading can help to establish the morals that you feel are important. You can use reading time to open up discussions between you and your little ones. No doubt, your children will ask questions and make comments as you read. This is good because they can spark meaningful and memorable conversations! Your little ones will become more emotionally connected to you and vice versa. Not only can reading at home bring on these benefits. Even when your child is apart from you during the day, he or she can gain meaningful learning experiences when teachers and educators read with the child. In many cases, the curriculum in daycare centers does not focus on the benefits of reading to and interacting with children. Often, they are more concerned with taking care of the physical needs of little ones (play time, naps, snacks and meals, etc.) Of course, these needs should definitely be met by your childcare provider. But, the daycare or preschool curriculum should also seek to meet the emotional and cognitive needs. 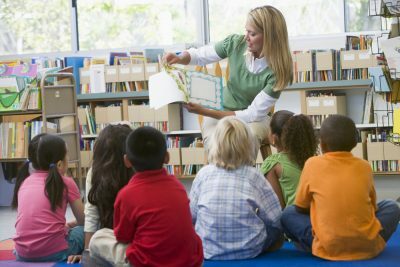 The books and stories implemented during storytime at the locations of Ivy Prep Early Learning Academy are likely to involve your children in engaging and meaningful learning experiences. Through the time spent reading and learning, your child can learn that it’s expected to be nice to others, practice patience, share, and much more! 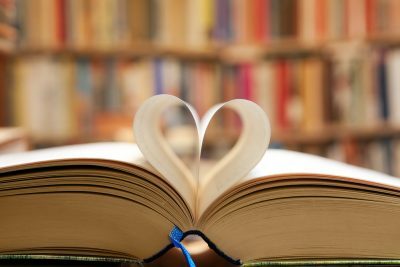 You may not have ever thought of reading to children as a way to help instill positive thought patterns and feelings in your children. But, there are actually more benefits of reading to children. Books and stories have a way of nurturing your child’s imaginative abilities. Children seem to have an innate sense of imagination which adults often seem to have lost somewhere along the line. Little ones can place themselves in a time, place, and even with other people when, in reality, they’re sitting on their bedroom floor. It’s proven that creativity stems from strong imaginations. And, with creativity on a child’s side, many opportunities in life will be available. 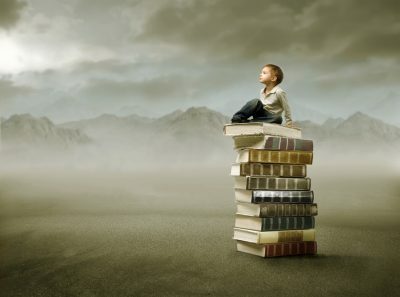 One of the many advantages of reading to children is that engages with their imagination. If children are our future, it’s important to give them the means to creativity to make our world a better place. If reading a story can help do that, we’re going to do it! Unlike many daycare centers in NYC which may simply take care of your child while you’re at work, here at Ivy Prep Early Learning Academy, we understand the importance of providing children with stimulation throughout the day to encourage development. One of the many ways we do this is by incorporating story time. If you’ve been looking for daycare centers in NYC and you think that your child would benefit from a setting which holds your child’s best interests at heart, Ivy Prep is the place for you. Contact us today to schedule a visit to one of our beautiful preschool facilities. **Originally posted on December 22, 2017. Updated on March 20, 2019.